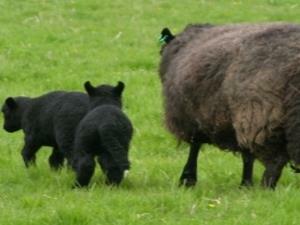 Black Welsh Lamb01873 821387work Shop - FarmThe lambs are born at the end of March and are fed almost exclusively on herb-rich organic grass until they reach full weight at around 9 to 12 months old. The combination of using a small traditional breed and the natural feeding process creates meat which is exceptionally lean, sweet tasting and very tender. At Pen-y-Wyrlod we have a strong commitment to sustainability. As well being Soil Association accredited, we are members of the Tir Gofal environmental scheme and have recently installed a 6kW wind turbine to meet all our electricity needs without undue pollution.